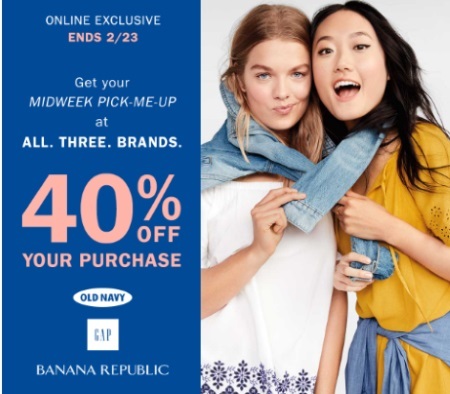 Get your Midweek Pick Me Up With 40% off at Old Navy, Gap and Banana Republic! Time to get some new spring clothes perhaps? Enter the promo code SPRING at checkout. Offer is valid online only and is valid until Thursday February 23 2017. Click here to browse Old Navy, Gap and Banana Republic.